Gone are the days when only a handful of Indians could make their way outside the country. With an increase in the number of Indian students enrolled in foreign universities, sending your child overseas to pursue higher education is no longer considered an unrealistic dream. Nevertheless, you need months of preparations prior to that. From applying to universities to making financial arrangements, you may end up feeling overwhelmed. And, amidst all this, it’s not uncommon to miss out on a very important aspect – an insurance cover. While universities in the US and the Schengen area have made it mandatory for international students to have an insurance policy, the choice is optional in the UK, Australia, Singapore and Malaysia. It’s advisable to always go for insurance since it functions as a safety net if your child lands in hot water during his/her stint abroad. For example, a doctor’s consultation in the US costs somewhere between $250 and $300 (i.e. Rs 18,000-21,000 approximately) and without insurance your child will end up spending a week’s worth of budget. Choosing the right insurance cover is also crucial; you can buy it either from an Indian insurer or an insurer in a foreign country. However, some universities ask students to buy insurance from them. In such cases, you will have no other option but to accept whatever you are offered.Which is the best option? You should go for a student travel insurance, as it holds an advantage over regular insurances. 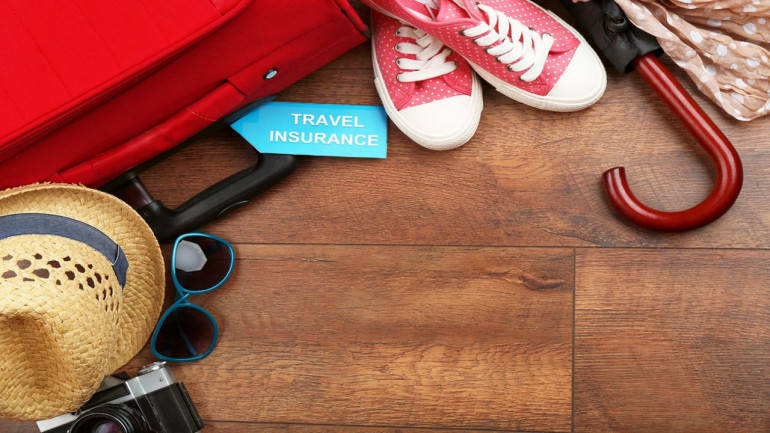 In addition to covering accidents and medical emergencies, student travel insurances also cover loss of baggage, passport and important documents. These insurances can offer cover for up to 2-3 years at one go.How to pick the right student travel insurance policy? Make sure you do extensive research before buying the policy and your decision should be well-thought out. Preferably, the insurance you pick should provide cover for medical emergencies, expenses for dental treatment, accident, evacuation and repatriation, personal liability, tuition fee, travel and sponsor protection. When you have a tight budget, it’s better to go for a domestic insurance provider considering the cost-effectiveness. In fact, the premium charged by Indian insurers is significantly lower as compared to foreign insurers. However, if money is not a constraint, you can opt to buy the policy from a foreign insurer as it will give a more extensive health cover. In any case, you must not overlook the minute but vital details like the sub-limits and deductibles.What are the facts you should know? While many tend to make this mistake, you should ensure that the student travel insurance is adhering to the guidelines of the university your child is getting admission into. If the policy’s coverage is not in line with the university guidelines, it can decline your child’s insurance waiver. For instance, a few universities in the US and Canada ask international students to get an insurance that covers expenses for pregnancy, drug addiction and mental illnesses. Also, some universities can insist that students only get the insurance from an insurance provider in their country. Another important point you should check for is whether the insurance policy covers out-patient expenses outside the campus or not. If it doesn’t, then you opt for another one that doesn’t limit coverage only to on-campus clinics.What if you need to cancel the insurance? In case, you need to cancel the student travel insurance, you must justify the reason for cancelling to the insurance provider. First, you have to send a written notice to the insurer 15 days in advance, and the note should include the policy number, a scanned copy of your child’s passport and the reason for cancellation. Otherwise, you can cancel the policy within 7 days after the date your kid was supposed to leave for abroad. The insurance provider will verify the passport and approve the cancellation. Today, a few student travel insurance policies provide cover for unforeseen risks like suicide, treatment for mental and nervous disorders, drug dependency, alcoholism, cancer screening and other expenses. Take as much as time you need, but make a wise decision when you are buying a student travel insurance policy. If you are unable to make up your mind, you would do well by taking some professional advice.